Being in debt is stressful enough without the worry of being scammed. The debt collection industry is so big that it is impossible for tell the true from the fake sometimes. 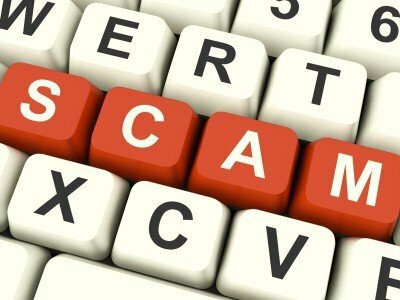 More people fall victim to scam artists each year. It is important to know the debt tricks scammers use for taking money. You don’t have to be the next victim. First, is the tax season scam. As April 15th approaches there is an increase in phony calls to consumers. Many scammers will call people pretending to be the IRS trying to collect on a debt. They often make threats of asset or bank account seizure to scare people into paying over the phone. It is important to know that the IRS will never call you to collect on a debt. The IRS only sends written correspondence when it needs to communicate with taxpayers. Therefore, do not ever give someone your personal or payment information over the phone. To find out if you owe the IRS money contact them directly to verify the debt. Also, be on the lookout for relocation scams. If you have recently moved you may receive in a few months saying you owe someone money for failing to pay an old bill. They will tell you that your bill was never forwarded by the postal service and you have missed a payment. Again, a warning sign should be anyone asking for you to pay over the phone. Always hang up and call a creditor directly to verify any alleged debt. If a debt is verified only make payments directly to the account lender and not through a third party. Most of all, it is important to know your rights when it comes to debt collectors. Always be cautious and try to resolve issues with your lender directly. If you are being harassed by creditors contact a Houston bankruptcy lawyer. We can stop debt collections immediately and put an end to those harassing phone calls. Find your best path to debt relief without the stress of collectors hounding you.